Homesnap Pro has been in the NNRMLS array of Member Business Tools since March of this year. 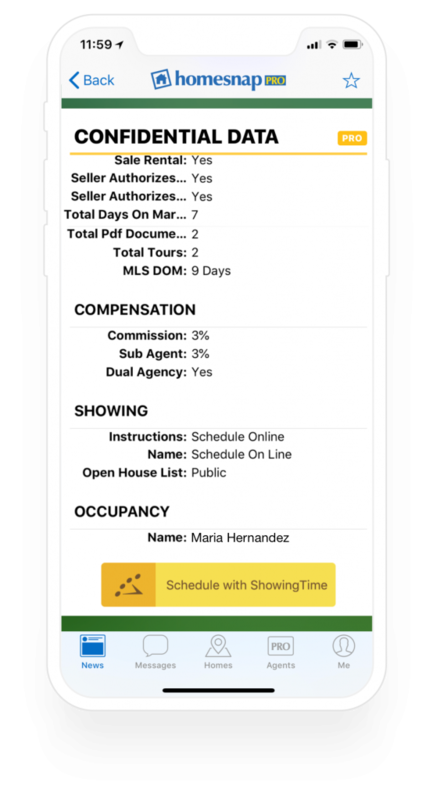 Our members and consumers alike benefit from the integration of Homesnap Pro with ShowingTime’s real-time showing application. The yellow Schedule with ShowingTime button will appear on every listing that was set up to show with ShowingTime. Just navigate to the listing, then tap the Schedule with ShowingTime button to book a time.